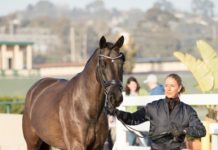 A few months ago I received a call from a very frustrated natural hoof care practitioner. This HCP needed to punch a few holes for the addition of some Power Straps to a set of Easyboot Glove hoof boots. In a somewhat heated tone the dealer went on to say, the Power Strap application I described as a snap just couldn’t be accomplished and that I’d misled them about the ease of application. These holes, “Were impossible to punch”. Okaaay, so I’m thinking, “What on earth are you using?” Come to find out it was a hole punch but a well used and dull hole punch rendering it worthless for adding Power Straps. I assured this practitioner it was as simple as I had claimed but that a good sharp hole punch would change everything. In the next few days I received a call back and sure enough holes were being punched with the slightest effort, making Easyboot Glove Power Strap installations a breeze. 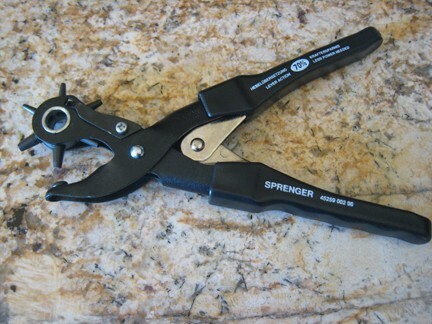 I asked what the new weapon of choice was and was told it was a Herm Sprenger revolving hole punch. 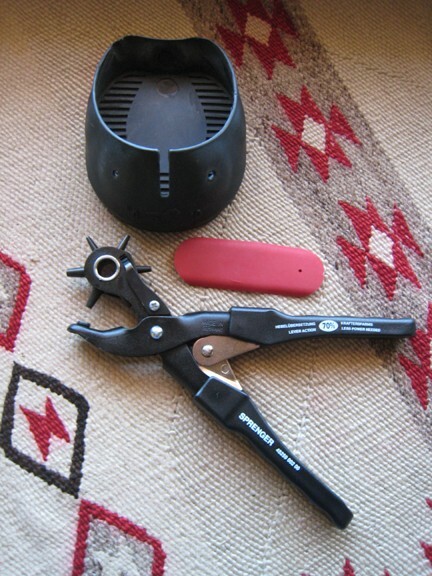 Since then I have had feedback from several barefoot trimmers who use the same tool and all love it. The bad thing I must confess was I was just as guilty. I had an old worn out punch myself that took every contorted face I could muster and a few persuasive words to produce a hole. So not to be guilty of, “Do as I say not as I do”, I ordered one up and the little jewel arrived last week. I must say it is a breeze to use. The company claims it takes 70% less pressure to punch holes. I like the sound of that. 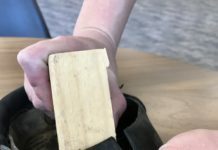 Another great tip when it comes to punching any hole with a punch, leather or rubber is to set the punch, press and twist the object simultaneously. Try it, this technique makes a clean hole every time. So remember the little things tend to make a big difference. Don’t forget to add those Power Straps or Insurance Straps as I like to call them to your Easyboot Gloves and make the job easier with the right tool. As you can imagine there is more than one way to get those little holes in the boots. Some dealers like a set hole punch, some like to drill the holes and one dealer I spoke to recently likes to burn the holes in the boots. There are no rules, do what works for you but this little punch does it for me. If any of you are still out there struggling with punching holes you might give this nifty tool a try. 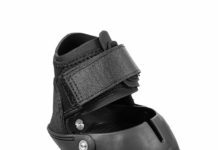 Whether it’s adding a power strap for the ultimate Easyboot Glove fit or punching the holes to install it, it really is the little things that make all the difference. Do you have a booting tip you would like to share with others? Take a minute to tell us about it.